Are you an educator and looking for learning resources to include sexual and gender diversity in your curriculum? BEING ME will provide you with learning resources and best practices on sexual and gender diversity to promote more inclusive care for LGBT older people. 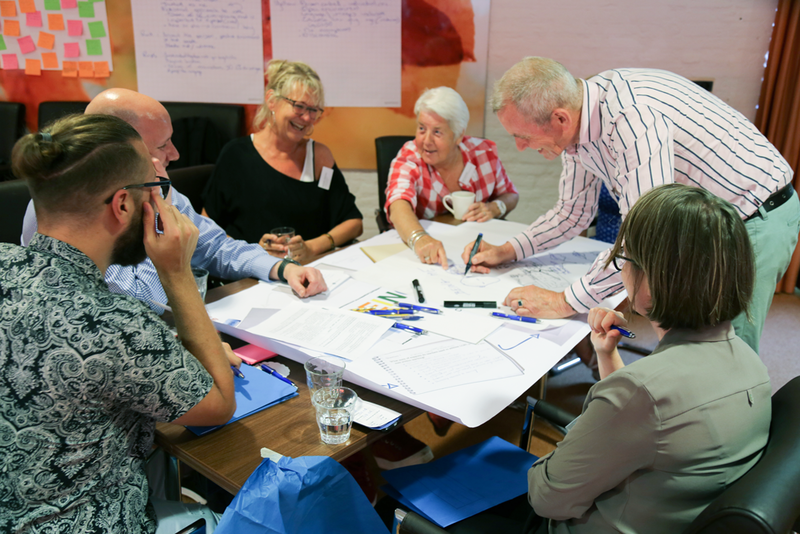 A World Café Session was organized with educators, students and LGBT older people. Aim of the session was to define what inclusive care means for LGBT older people. The participants discussed the role of educators in care and wellbeing and how they can prepare students as our future care professional towards more inclusive care. The session started by focusing on the stories of LGBT older people and their experiences. These were played back through song, music and theatre by ‘Theater boven Water’. Their stories highlighted the importance of our project and supported a sense of urgency among the participants. After this the participants started to work in groups on different topics. Results of the session will feed into our learning resources. The BEING ME partners have made a research report to scope the existing best practices in teaching on LGBT older people needs in care and wellbeing. Have a look at our research summary. Listen to our main findings in this podcast or have a look at the overall research report. The analysis includes country reports where the most important themes are identified in relation to LGBT older people, the obstacles they encounter and the support for inclusive care that already exists.